Do it yourself home remodeling has become a popular alternative for many owners who have felt a little sting from our nation’s economic slowdown. Rather than thinking about moving into a bigger house, many homeowners are dispensing less of their income to simply remodel what they currently have. Some of those projects are true winners—automatically increasing the value of the home if the owner does decide to sell. 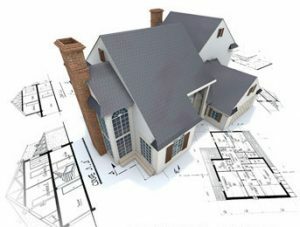 Other construction projects are total losers, bottomless pits of expense that result in major frustration and not much of an upgrade to the home. Replacing Your Siding—the exact numbers vary on how much you will recoup with a replacement of your siding, especially if it is vinyl, but most figures point to an 80+% recoup. New siding makes a house look brand new no matter how old it is, and this project’s low outlay and enduring value (most siding lasts up to 25 years) make it a winner. New siding is cheaper in the long run than re-painting every five years or so, and many homeowners are favoring low-maintenance projects for their remodeling. Replacing Your Entry Door—the return on this investment can run as high as 130% on a mere $1,000 outlay, the most inexpensive upgrade on this list. Most realtors recommend a steel door in today’s market, due to its lower cost and energy efficiency. As one might expect, a new door leaves a powerful first impression on someone who is home shopping. The only possible drawback for this investment is if a potential buyer loves wood at the entrance—even the most camouflaged steel doors reveal their true composition as soon as someone knocks on them. Attic Bedroom Addition—this project can run into the tens of thousands of dollars, but homeowners recoup 80+% of the cost. Dusting out the attic and making it into a livable space is still a lot cheaper than adding an entire room to your house’s structure because there are no foundation costs or dirt work. Today’s families are welcoming unplanned human additions to the household scene, including elderly parents and children out of college in search of a job. That makes an attic bedroom even more practical for many. Minor Kitchen Remodel—this construction project doesn’t have to involve an overhaul of the kitchen; it is a $20K project, not a $50K one. A minor remodel is a better bet, involving the installation of new cabinets and drawers, hardware, countertops and appliances without altering the layout. This investment has appeared on this list throughout the past several years because it can add a great wow factor to the home. Kitchens have become important places for family gatherings in our frenzied age; a new-looking one will greatly impress visitors–and potential buyers when that time comes. Wood Deck Addition—homeowners get back about 80% on this project, too. It is a popular one because families are going out less and staying home more. A deck can give them a great alternative for spending quality time at home. People are re-discovering the pleasures of the outdoors as they relax on their decks, and wood decks are relatively inexpensive. Homeowners also enjoy the feeling that they have a lot more living space once a deck is added, and depending on where they live, they indeed do for many months a year. The outlay on these do it yourself projects varies from one grand to 40 grand, but each will almost (if not completely) pay for themselves. All of them are smart investments for homeowners seeking to generate a good ROI in today’s more difficult times. Thanks for the great post. In today’s market homewoners and investors want to be sure each dollar the spend on the property will hold or add value down the road. As always, using top quality materials makes a difference in the results of the project.